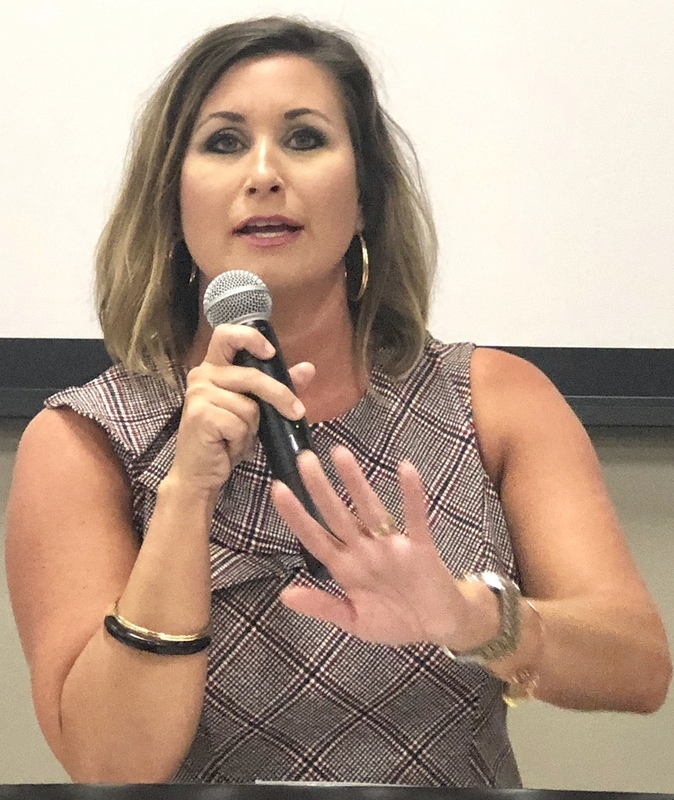 Elementary School Principal Courtney Pope was the guest speaker at the 20th Annual Donor Appreciation Banquet held in the Spiritan Center on September 12th. Three families were recognized as Honored Donors for their consistent support of the Endowment over the years. Richie and Alison Hambuchen, David and Patricia Moix, and Mike and Dee Woodrum received special awards for their contributions. Endowment Director Jacqueline Kordsmeier also noted the fund's assets now exceed $8,000,000.